Check back late 2019 for information regarding the 2020 program! Maryland Sea Grant offers fifteen students the opportunity to conduct marine research on the Chesapeake Bay. During the 12-week program, each student works with a mentor on an individual research project. It’s a special opportunity to develop your research skills and interests by working with top science mentors studying America’s largest estuary. We seek students majoring in marine science, ecology, environmental science, biology, chemistry, engineering, physics, and mathematics. Students from colleges and universities where research opportunities are limited and from groups underrepresented in marine and coastal science are encouraged to apply. Applicants must be U.S. citizens or permanent residents and have completed at least two years of study towards (but not yet completed) a bachelor’s degree. Preference is given to students who are rising seniors. Learn more about how to apply to the program. Schedule, Programs, and Seminars: Summary of key dates, field trips, seminars on careers in science, and more. Research Topics and Mentors: Learn about the research topics studied in previous years by participating students and the mentors who advised them on those topics. Our Students and Their Research: Photos and names of past students and descriptions of their projects and publications. 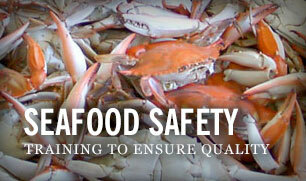 Read a feature article all about our program in Maryland Sea Grant's magazine Chesapeake Quarterly. Check out a PDF slideshow about REU, read and share our flyer about the program, and “Like” our Facebook page. 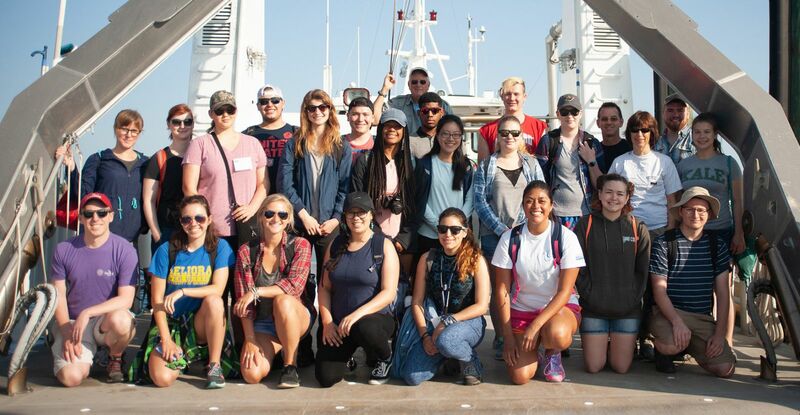 Funding for the Research Experiences for Undergraduates site is provided by the National Science Foundation's Division of Ocean Science's located in Arlington, Virginia (Grant OCE-1756244). The NSF contact for this program is Elizabeth Rom. NSF does not handle REU applications; please contact each REU site directly for application information. 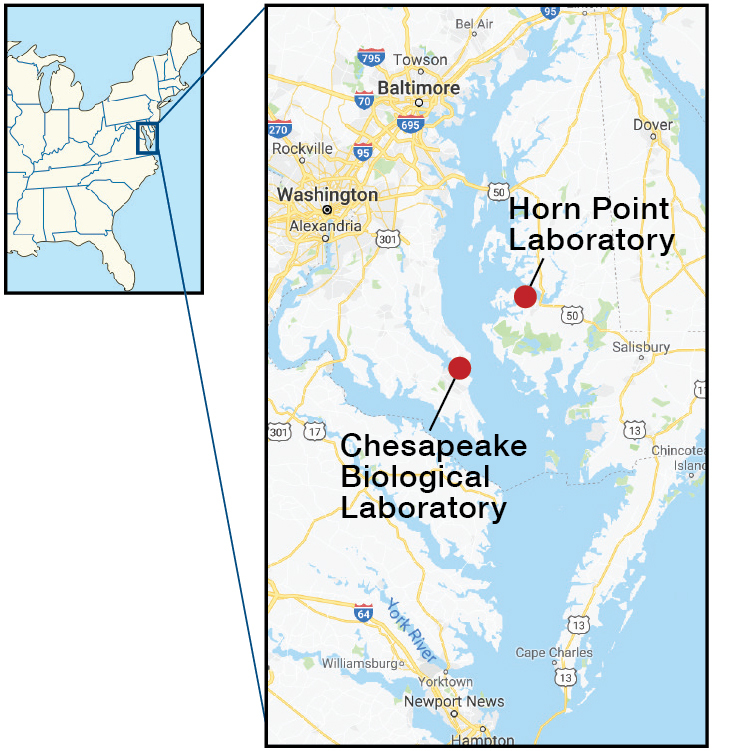 Fellows will be placed at the University of Maryland Center for Environmental Science’s Chesapeake Biological Laboratory in Solomons, Maryland or Horn Point Laboratory in Cambridge, Maryland.